This is a place in which you will happily build the rest of your life, from early career to raising children. 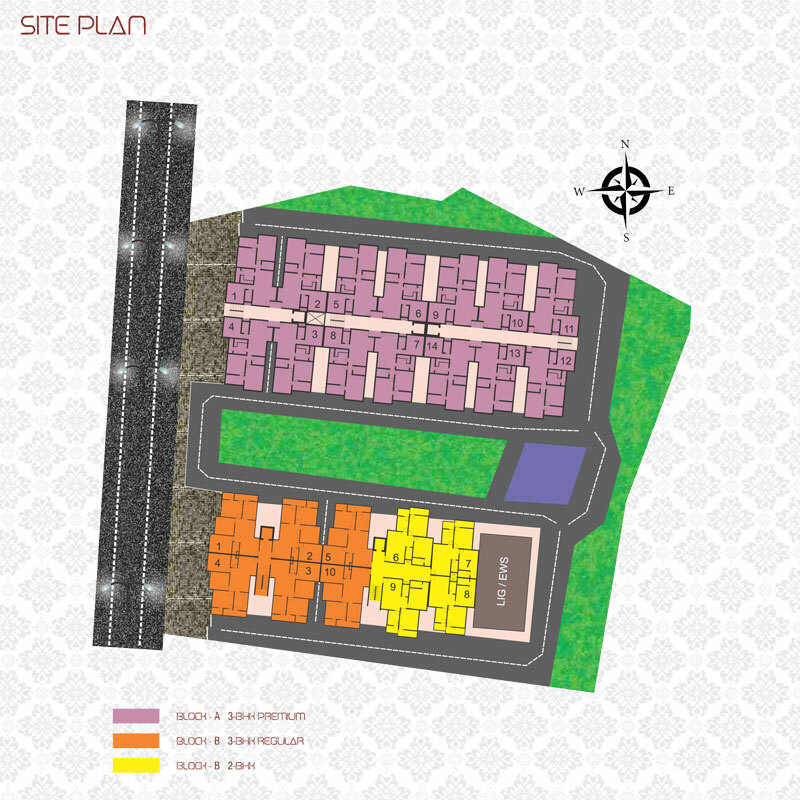 Since we assure a family-oriented atmosphere, community events will offer the opportunity to deepen resident's commitment to their living space by engaging the community in various program and event which can all be held within the boundaries of the campus. 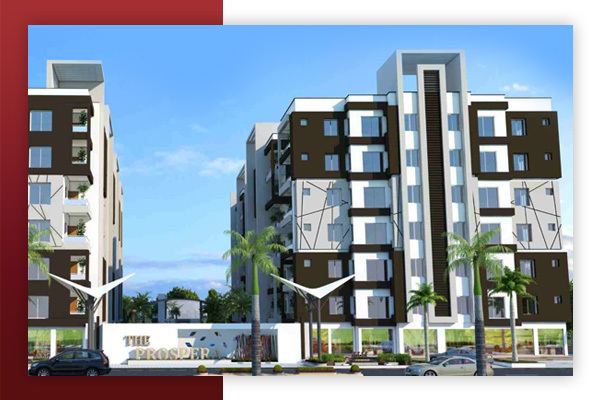 The Prospera will be a perfect blend of comfort and convenience, hence boosting the quality and value of the place you would want to call your own home. 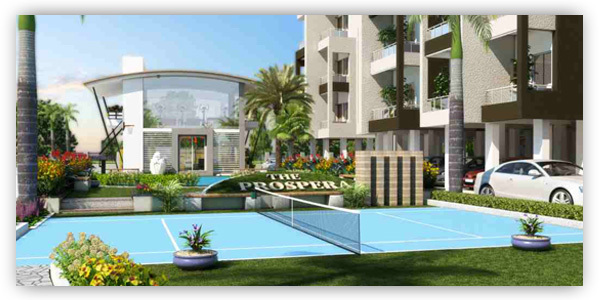 The Prospera- A Synonym to Asset has been built up as an ideal luxury multi storied residential project, with countless advantages such as elegantly designed landscapes & open green areas, easily accessible to all parts of the city, uniquely designed 2 & 3 BHK spacious apartments, the project also prides itself in its slew of amenities. 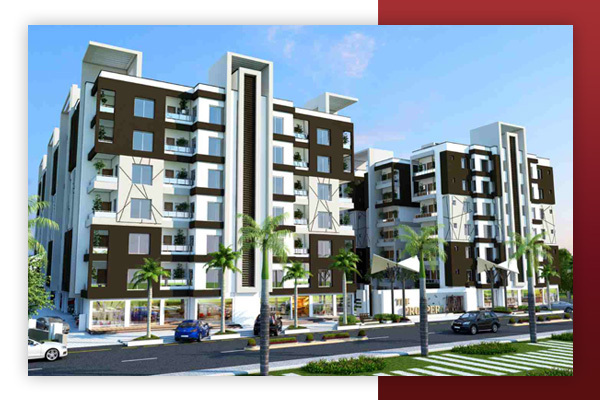 Being just a few blocks away from hoshanagabad road, these 6 story residential towers project is a sublime living destination and feature residences designed to accommodate both urban professionals and families with an added support of amenities like the club house, gymnasium, children play area and a swimming pool. 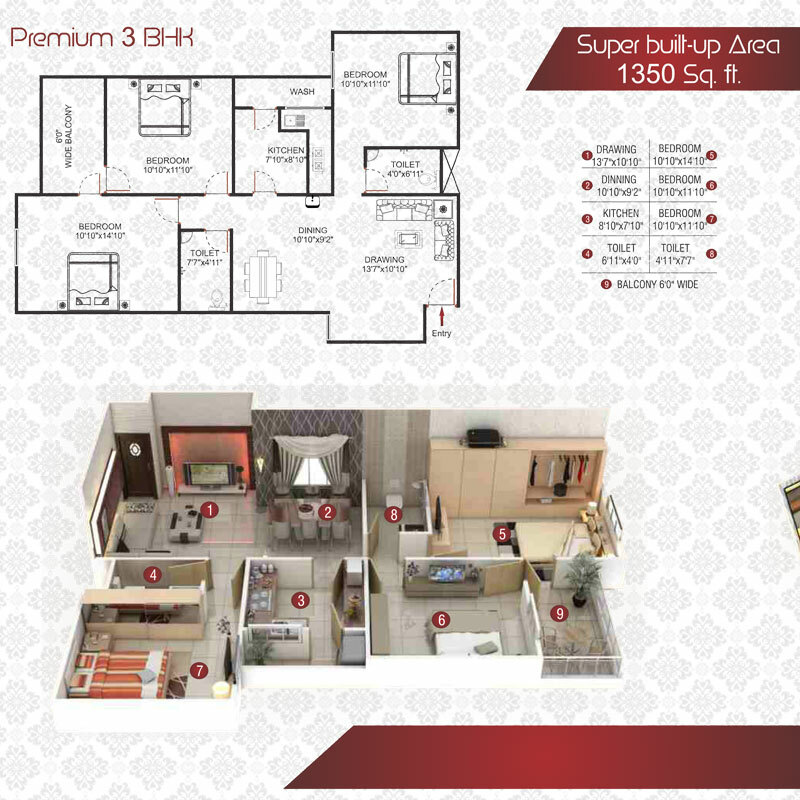 Super build up area 1350 sq.ft. 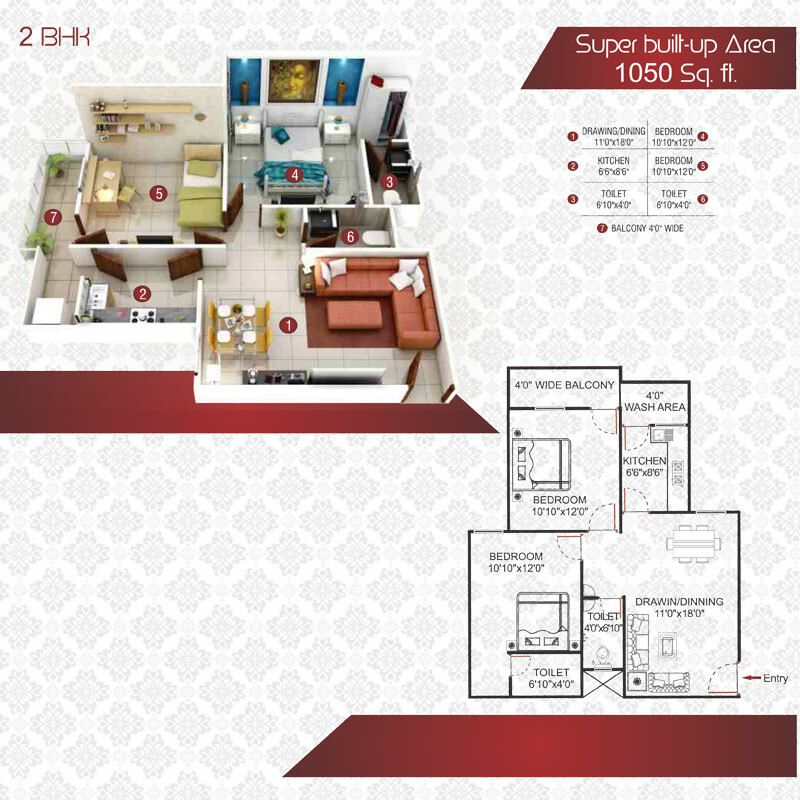 Super build up area 1206 sq.ft. 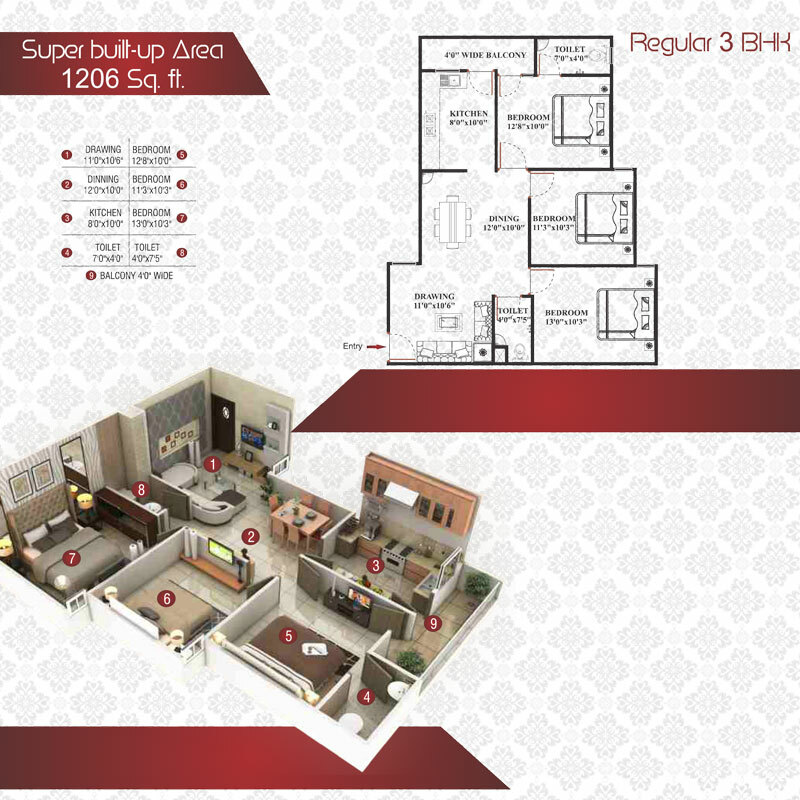 Super build up area 1050 sq.ft.